Telecom service provider, Bharti Airtel and Payments solution provider Razorpay today announced a partnership under which the latter will be helping the telco’s customers make seamless online payments through Unified Payments Interface (UPI) on Airtel’s website and mobile application. Payments through UPI will enhance the customer experience by removing the hassle of typing card details or net banking/wallet passwords and will eventually drive adoption of digital payments, Razorpay said in a statement. “The vision of a less-cash economy can be realised only when we successfully facilitate online payments for everyday, essential needs such as the need for people to remain connected at all times. Our partnership with Airtel is another step towards realising that goal,” Razorpay co-founder and CEO Harshil Mathur said, as reported by PTI. Razorpay currently powers online payments for more than one lakh businesses, including GoIbibo, Yatra, Zomato, IRCTC, Zoho, DSP Blackrock, Zerodha among others. The company aims to increase its merchant count to two lakh by the end of 2018 and impact 500 million end-consumers by 2020. It has clocked in a growth rate of 30-35% month-on-month. 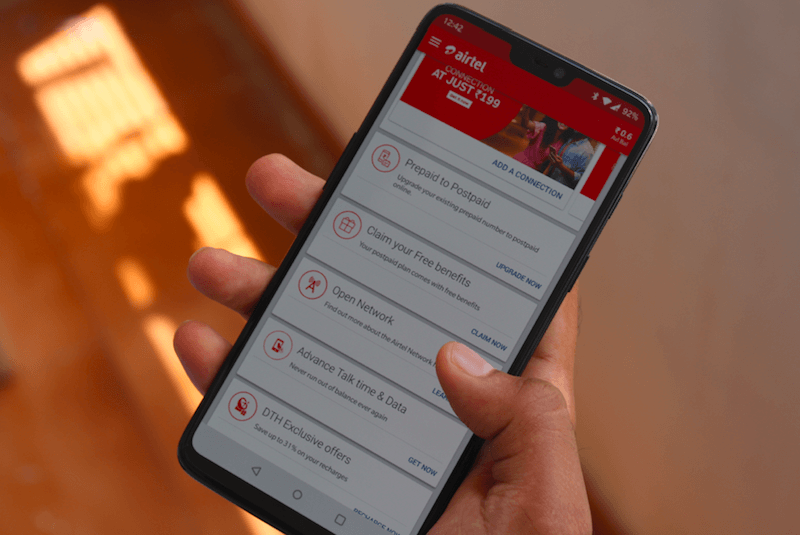 Airtel is already offering UPI-based services on both the My Airtel app and the company’s website. The partnership with Razorpay will further enhance the customer experience.